Spanish animals wordsearch. 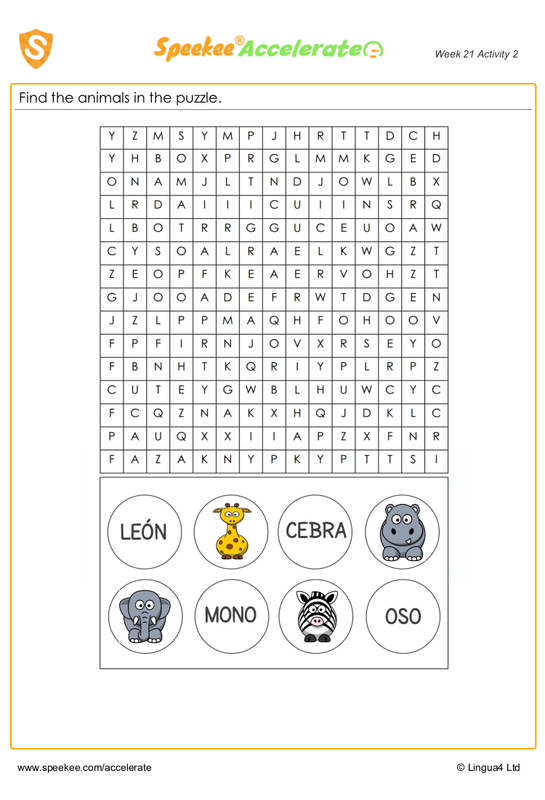 A classic wordsearch with 6 Spanish animals to hunt for. Each of the animals is pictured and named below to help you! Find the animals in the puzzle.